Pepe, aspiring P.I. 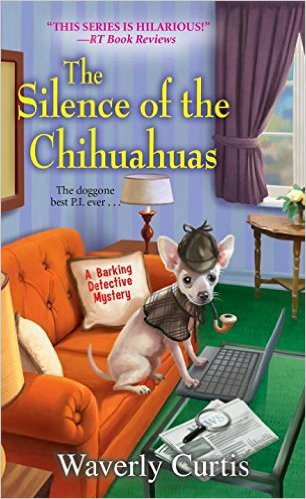 Geri Sullivan’s muy clever Chihuahua, has stopped talking. But why now, with Geri’s best friend Brad missing and her ditzy sister in grave danger? Geri’s lost without Pepe’s dogged detective work, especially when a client of Brad’s expires under very murky circumstances. Pepe and Geri have a private detective work they do but right now Pepe isn't talking and Geri doesn't know why and takes him to the vet to try to figure it out but when that doesn't work she finds herself looking into a mystery involving Geri's sister who calls asking for help. It's up to Geri and Pepe to figure out what is going on that and find out what happened to best friend Brad who is missing. 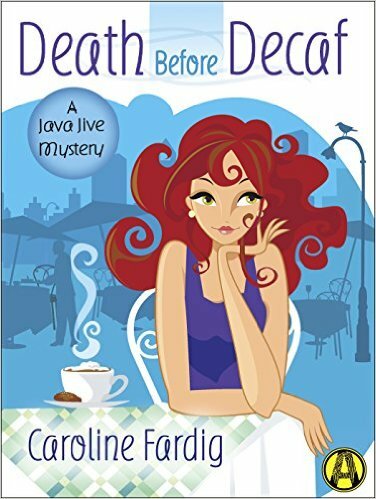 This book was a fun adventure finding out how the mystery would get solved and would Pepe ever talk to Geri again or would she find out why he went silent? 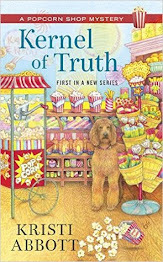 Definitely a great book for mystery lovers who love animals in their mysteries! Can't wait to see what is next for this dog raising duo! 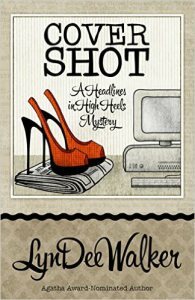 I write traditional (also called cozy) mysteries. In traditional mysteries, the main character is usually an amateur sleuth, not a police officer or detective. 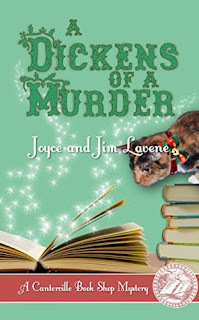 In traditional/cozy mysteries, setting and characters play an enormous role and violence is downplayed. 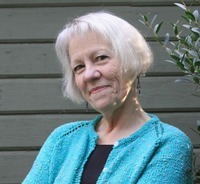 I love writing characters and their stories, and making the setting – whether it be a grand house or a village pub – a place the reader would like to visit. I suppose it’s true with many authors – we write what we love to read. 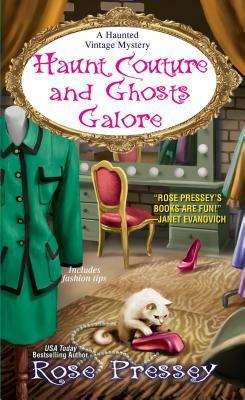 And what cozy mystery writer doesn’t like to read Miss Marple? And I’m a big of series (such as Dorothy L. Sayers’ Harriet Vane) where each book has a story arc, but there’s also a story arc (the growth of the main character) that spans the series. Quite possibly whichever character is in the scene of the moment. In Empty Nest, apart from Julia Lanchester, the protagonist, I’ve got to say that Thorne, the butler at Hoggin Hall, is near and dear to my heart. Oh wait – and Gavin Lecky, leather-clad birdwatcher who wear one earring in the shape of a hovering kestrel. Inspiration comes from all quarters – friends, family, places, real-life events. Everything gets tossed into the hopper (my brain) and mixed up until it comes out as a story. My husband and I travel – usually to England, Scotland or Ireland (surprise) where I do loads of research. I also lead garden tours to those countries; it gives me the opportunity to spend time outdoors and talk with people. And I read, of course. I’d take my iPad filled with books and a solar charger. And a toothbrush. Aggie has decided she is going to stay young and writes a column on tips on aging. Aggie decides to go to the university and study about aging. 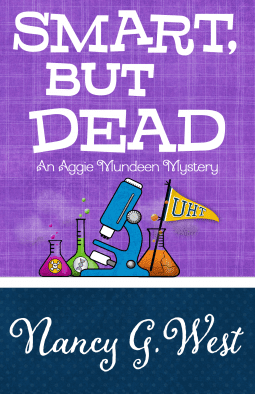 When the professor dies in the classroom Aggie is determined to prove the professor was murdered. 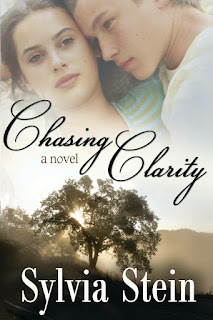 This book was full of mystery and fast paced and her curiosity at times lands her sticky situations. 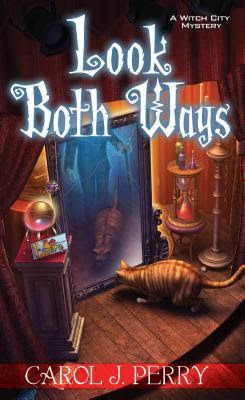 This book would be great for anyone who loves mystery and adventure. I can't wait to see what comes up next with Ms. West such a great adventure she takes you on trying to find out who killed the professor! 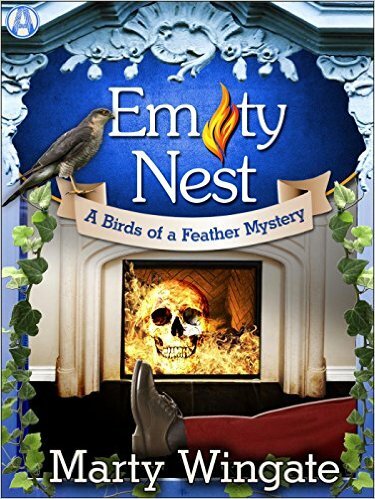 In this book Nichelle Clark finds herself getting weird twitter messages which have her wondering why someone is singling her out with the texts add that a death of an older man. This book was full of so much going on between a guy with a riffle takes creates a hostage situation at a hospital. 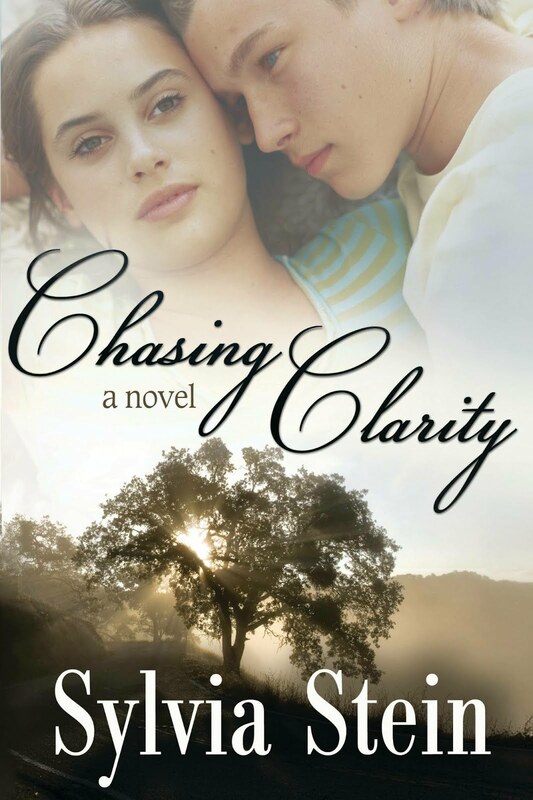 This book like previous books always has you on the go wanting to know what more is going to happen while Nicelle gets to the bottom of it. I love reading this series to see where it going to go next and this one didn't fail. A definite edge of your seat ride that I will take again and again! Can't wait to see what is next for Nichelle Clarke! 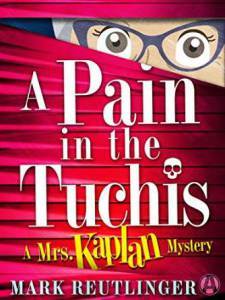 This is the second book in the Mrs. Kaplan Mystery series. In this book one of residents of the Rebecca Cohen Home for Jewish Seniors Vera Gold winds up dead, mind you Vera was a tough nut to get along with, she fought with many people anyone from other seniors to the staff and everyone in between, luckily she didn't fight with Mrs. Kaplan or Ida. Ida tells this story from her view point while Mrs. Kaplan plays Sherlock Holmes of sorts. When Vera's sister comes to Mrs. Kaplan and Ira to inquire in their investigative services in finding out whether or not her sister was poisoned with a little nudging they quickly find out that Vera was poisoned and it's up to the senior duo to find out who poisoned Vera Gold. With no shortage of suspects and the police apprehending Vera Gold's son will Mrs. Kaplan and Ira figure it out or will they meet their demise instead? I love this series as it is heavily Jewish but with the jewish phrases you also learn what they mean. I enjoy both Ira and Mrs. Kaplan and enjoy the story as with the other one I'm in the middle of they are written very well and descriptive and really hold your attention and want to know who the bad guy or gal is. Can't wait to see what Mr. Reutinger comes up with next in this series! Cookie Chanel has her hands full with her ghosts and finding out who killed someone at a charity fashion show? Was it the model or someone more sinister and why was a gumshoe's hat there? Cookie is trying to get to the bottom of it hopefully get rid of her ghosts that keep her investigating at the same time. Today we had the pleasure at Community Bookstop of stopping and chatting with Richard Godwin who is releasing his book Wrong Crowd. We look forward to hearing how well his book is! I am known for writing psychological thrillers. 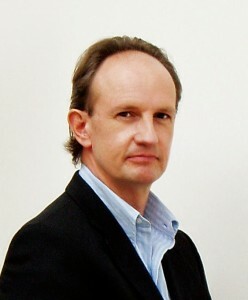 I also write Noir, literary satire, horror, straight crime, mystery, hybrid and slipstream. It was a natural evolution. I do not have one. I like finding new characters and ensuring they are all realistic and dramatically functional. No one. I am exploring the human condition. So many things, apart from the usual, reading, travelling. A flare, enough food, a gun loaded with hollow points. 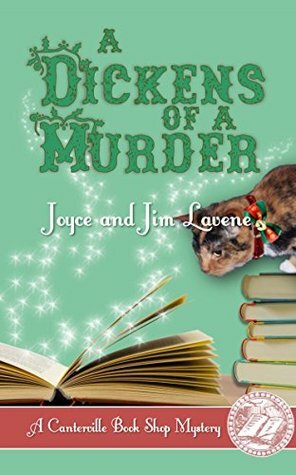 Lisa Wellman and Simon Canterville are surprised to find a dead man on their roof in the midst of rushing to open the Canterville Book Shop in time for the holidays. And not just any dead man – Ebenezer Hart – the man who opposed the book shop opening in Olde Town, Portsmouth, Virginia. First I want to take the time to offer our condolences to Jim Lavene for the loss of his wife Joyce recently. She was a pleasure to work with in both of your various book series. She will deeply missed. This book follows Lisa Wellman whose working with Simon Canterville to open a book shop when they discover someone hanging from their roof not long into it Simon finds himself in trouble and Lisa finds herself wanting to find out who killed the victim and why they are framing Simon! 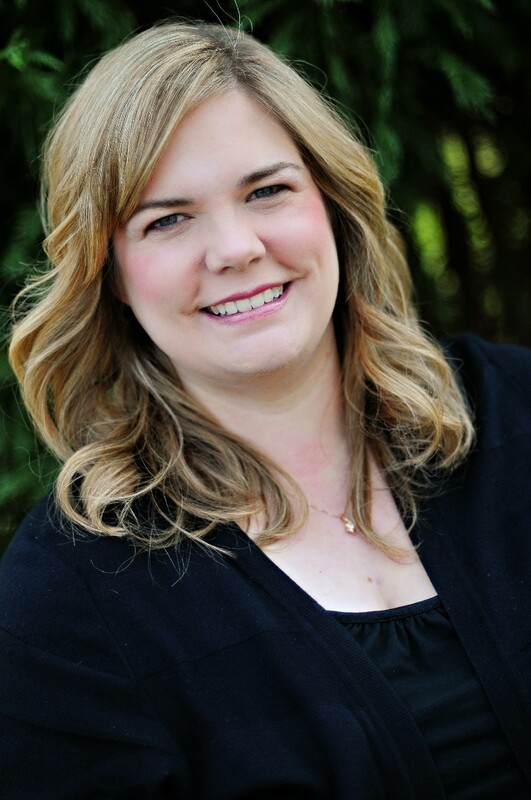 What she wasn't counting on is her ex-husband Daniel Fairhaven investigating the crime. I love the books Jim and Joyce write they never fail to deliver they always leave you wanting more or wishing the book was longer this one was full of all sorts of intrigue and mystery trying to figure out who the killer was and why they did what they did. As always a gem of a book and one for cozy lovers old and young! This book follows Lee Barrett whose living with her aunt in Salem and working on decorating her apartment when she buys a dresser that matches one she had a child including hiding spots in it. 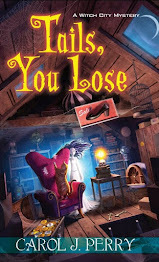 The dresser mirror is trying to tell Lee something but she's not sure what and when the antique store owner winds up dead it's up to Lee to figure out what is going on before she winds up the next victim. I enjoyed this book reading about Salem and the people Lee interacts with from her aunt, her boss, Her boyfriend and her friend River North. I love how this book also dealt with an old crime as well and a missing pink diamond.